Culture refers to the knowledge, experience, beliefs, values, attitudes, meanings, hierarchies, religion, notions of time, roles, spatial relations, concepts of the universe, and material objects and possessions acquired by a group of people in the course of generations through individual and group striving. Culture is the knowledge shared by a group of people. Cultural racism is how the dominant culture is founded upon and then shapes the society's norms, values, beliefs and standards to validate and advantage white people while oppressing People of Color. Cultural racism is how the dominant culture defines reality to validate and advantage white people while oppressing People of Color. Cultural racism uses cultural differences to overtly and covertly assign value and normality to white people and whiteness in order to rationalize the unequal status and degrading treatment of People and Communities of Color. ​White supremacy culture is the idea (ideology) that white people and the ideas, thoughts, beliefs, and actions of white people are superior to People of Color and their ideas, thoughts, beliefs, and actions. White supremacy culture is reproduced by all the institutions of our society. In particular the media, the education system, western science (which played a major role in reinforcing the idea of race as a biological truth with the white race as the "ideal" top of the hierarchy), and the Christian church have played central roles in reproducing the idea of white supremacy (i.e. that white is "normal," "better," "smarter," "holy" in contrast to Black and other People and Communities of Color. 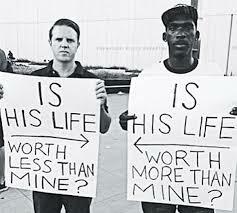 For a more in-depth discussion on "Why Black Lives Haven't Mattered: The Origins of Western Racism in Christian Hegemony," check out Paul Kivel's blog here. For a more in-depth discussion on "The Doctrine of Discovery, Manifest Destiny, and American Exceptionalism," check out Paul Kivel's blog here. This piece on white supremacy culture is written by Tema Okun and builds on the work of many people, including (but not limited to) Andrea Ayvazian, Bree Carlson, Beverly Daniel Tatum, Eli Dueker, Nancy Emond, Jonn Lunsford, Sharon Martinas, Joan Olsson, David Rogers, James Williams, Sally Yee, as well as the work of Grassroots Leadership, Equity Institute Inc., the People’s Institute for Survival and Beyond, the Challenging White Supremacy workshop, the Lillie Allen Institute, the Western States Center, and the contributions of hundreds of participants in the DR process. 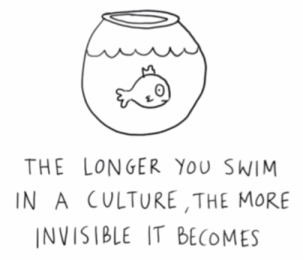 Culture is powerful precisely because it is so present and at the same time so very difficult to name or identify. The characteristics listed below are damaging because they are used as norms and standards without being pro-actively named or chosen by the group and because they promote white supremacy thinking and behavior. We all live in a white supremacy culture, so these characteristics show up in the attitudes and behaviors of all of us – white people and People of Color. Therefore, the attitudes and behaviors described here can show up in any group or organization, whether it is white-led or predominantly white or People of Color-led or predominantly People of Color. For a more detailed description of these characteristics and their antidotes, click here or download the file below. The list of white supremacy characteristics includes: perfectionism, a sense of urgency, defensiveness, valuing quantity over quality, worship of the written word, belief in only one right way, paternalism, either/or thinking, power hoarding, fear of open conflict, individualism, belief that I'm the only one (who can do this 'right'), the belief that progress is bigger and more, a belief in objectivity, and claiming a right to comfort. Click on the file below for the entire article on White Supremacy Culture. Click here for a zine version of the entire article put together by the fabulous Laura Donovan. 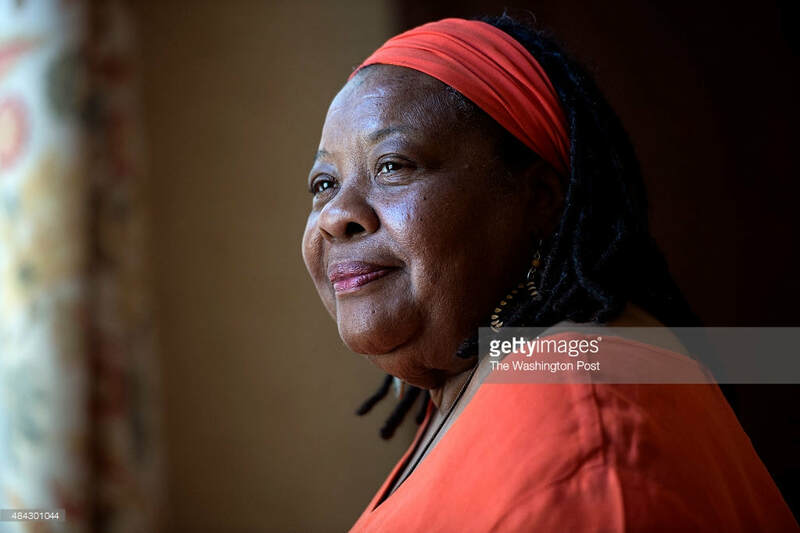 Ruby Sales is a long-time activist and social justice warrior raised up in the Civil Rights Movement. At age 17, she, along with other activists, was arrested in Lowndes County for picketing a whites-only store; after release she and a few others went to buy soda. At the store she was threatened with a shotgun by special county deputy Tom Coleman, who raised his gun to shoot her. She was pushed out of the way by Jonathan Daniels, an Episcopal seminarian. He was killed on the spot. Sales continued to fight and testified against Coleman despite threats to her and her family. Coleman was acquitted and Sales went on to attend Episcopal Theological School where Daniels had gone to school. She currently works with the SpiritHouse Project in Atlanta. Here we offer two interviews with Ms. Sales, who inspires with her clarity about the cost of white supremacy to white people, the genius of the Black community in surviving centuries of state sanctioned hatred and violence, and the importance of speaking truth to power in these times. An interview with Ruby Sales and Krista Tippett for the On Being podcast. For an article on white fragility (which functions to preserve white supremacy) and "why it's so hard to talk to white people about racism," click here. For an article on 10 insidious ways white supremacy shows up in our everyday lives, click here.